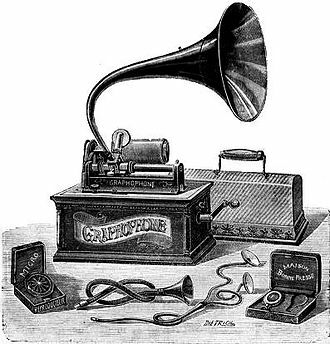 A Columbia type AT cylinder graphophone was produced in 1898. Columbia used this label for its 45 r.p.m. records from 1951 until 1958.